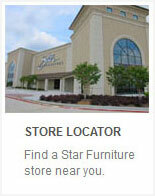 At Star Furniture, we understand that providing high-quality desks and bookcases for your kids can help them create long-lasting study habits and organizational skills to help them succeed in life. Follow along as we explore some of our favorite kids’ desks and bookcases available at Star. The Gabriella Vanity Desk is a stylish and functional addition to any child’s bedroom. Not only will you find an array or file and box drawers, but the writing desk includes beautiful detailing like rose carvings and beaded accents. The optional hutch offers additional storage including cabinets and open shelves, as well as a cork board your child can use to personalize their space. 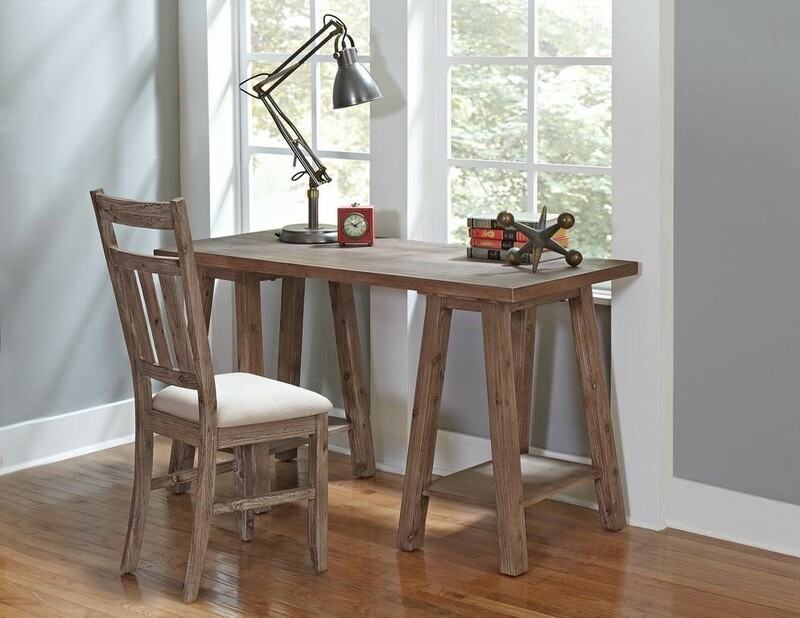 Kids can be rough on furniture, but this Oxford Desk is designed with durability in mind. The classic saw horse design and natural wood finish gives it a rustic look and feel, and the lower shelves offers the additional storage space your child needs to stay organized throughout the school year. When you’re looking for kids’ bookcases, it’s best to look for something that matches the style of your child’s bedroom, while also providing the functionality they need to succeed. We love these bookcases, which feature plenty of shelves, plus additional drawer storage so your child can stay organized all year long. 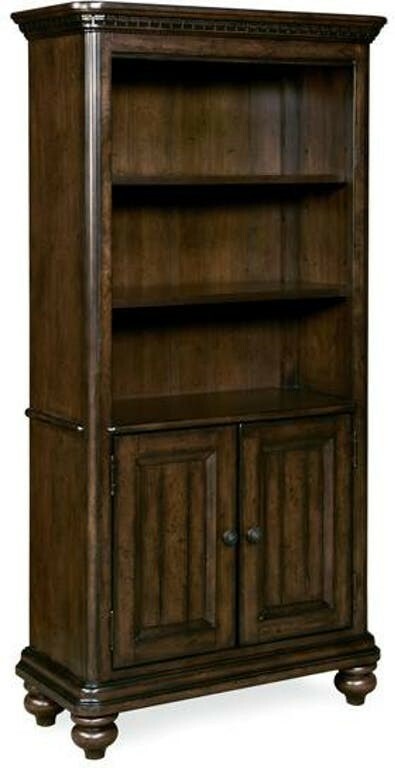 This Paula Deen Guys Bookcase combines a rustic finish and antique stylings with a functional and safe design. Because the bookcase comes with a lower cabinet, your child will have plenty of room to store items both in and out of view. It also comes with a cord management system, which keeps the floor free of cords. If you’re looking for more than the average kid’s bookcase, look no further than the Varsity Bookcase, available now at Star Furniture. 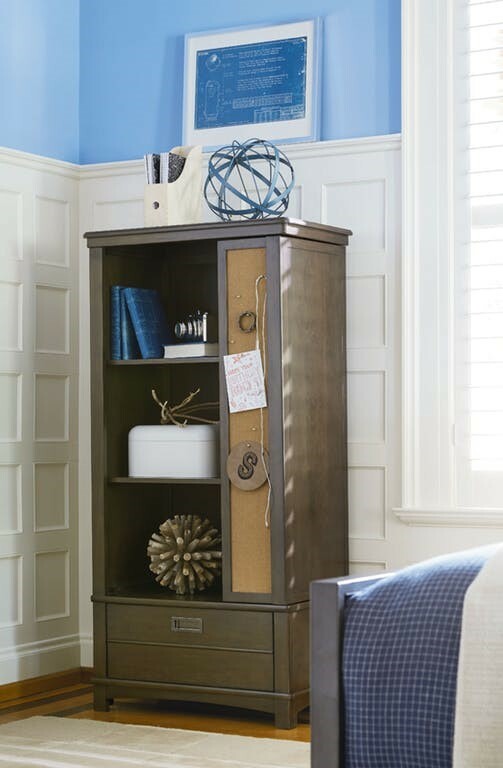 Designed in a Modern-Contemporary style, this bookcase offers unique features like a rectangular cork board, lower drawers, and two adjustable wood shelves.